Find a relaxing hotel room. If you're feeling like you need to get away from it all but you don't want to spend a lot of time or money on an extensive vacation, you just might find that a little hotel enjoyment and relaxation time is just what you need. Whether you go out of town or check into a hotel in your hometown, spending a little time being pampered while someone else takes care of the cooking and cleaning could be your ticket to relaxation. Sometimes it can be difficult to relax and unwind at home. No matter how badly you need downtime, when you're in your own house it can be hard to ignore pressing chores. There are always dishes to be done, laundry to be folded, pets to be walked, and other tasks vying for your attention. That's why it's sometimes necessary to remove yourself from your home environment when it's time to de-stress. 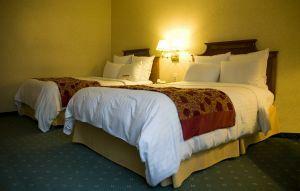 Even if you escape to a hotel just for a few days, a hotel stay can give you a chance to rejuvenate, relax, and unwind. When you're staying in a hotel, no matter where the facility is located, you don't have to worry about the daily chores that seem to engulf so much of your free time. You'll be able to read a book or flip through your favorite magazine without feeling like you need to get up and do something "productive". When you spend a few days in a hotel, you give up the responsibility and stress of dealing with daily chores. It's someone else's job to make the bed, wash the towels, and restock toiletry items. You won't have to cook, clean, or take out the trash. You can go out to eat for every meal, or even have your meals delivered directly to your room. Whether you travel alone or with friends or relatives, it's important to keep your needs in mind when looking for a place to stay. Not everyone finds the same types of activities relaxing, so the perfect escape destination for one person might not be what you need. When you're looking for hotel enjoyment and relaxation, be sure to select a facility or resort that offers the types of amenities that will help you escape from the stresses of everyday life. If you're looking forward to taking some time for yourself to enjoy hotel enjoyment and relaxation during a family vacation, you may want to look for a lodging facility that offers a variety of supervised children's activities. You'll be better able to relax and unwind when you're certain that your kids are enjoying themselves and being well cared for. Indoor water parks or other family-friendly resorts can be perfect for you to relax without worrying about the kids. Is your idea of a perfect getaway one that includes playing several rounds of golf? 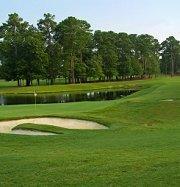 Many resort facilities have world class golf resorts on their grounds. It's also not unusual for hotels without private courses to provide guests with access to outstanding nearby golf courses. Many hotels and resorts offer world class spa facilities. If getting pampered tops your list of relaxing activities, be sure to find out what types of services are available before you book your room. Many hotels have on-site spas with saunas, whirlpools, massages, facials, body wraps, and more. Some even offer in-room spa services. If you find playing in or around the water to be relaxing, look for a hotel with one or more swimming pools or other water features. Beachfront resorts can be an excellent choice for those who love the water, but they're not the only options. Many inland hotels have elaborate indoor and outdoor swimming pools, hot tubs, water slides, and more. Don't make the mistake of thinking that you can't take time for yourself without taking a long trip. A relaxing weekend at a nearby hotel that has all the amenities you desire can be a perfect way to unwind and recover from the day to day stresses of multitasking work and family responsibilities. Why not make plans today to go away by yourself, with a few friends, or with your family so you can reconnect with yourself and the things that are most important in life?